When it comes to new protein skimmers, we can appreciate it when companies stick to the tried and true, but we get even more excited when a someone does something a bit bold in order to stand out. Aqua Medic did just that with their aCone line of skimmers, which we got the privilege of getting up close to at MACNA. The cone shape isn’t anything new, but the bubble plate and skimmer pump are quite unique. On top of that, the designers incorporated one very hand drain that should help when it comes cleaning time. The bubble plate is one of the most unusual features of the aCone. It ditches the usual horizontal plate with upward facing holes in favor of a stack of plates that create horizontally opposed bubble channels, which really slow the flow of water and bubbles through the skimmer body. This increases dwell time, and therefore the amount of time the bubbles are in contact with the water. 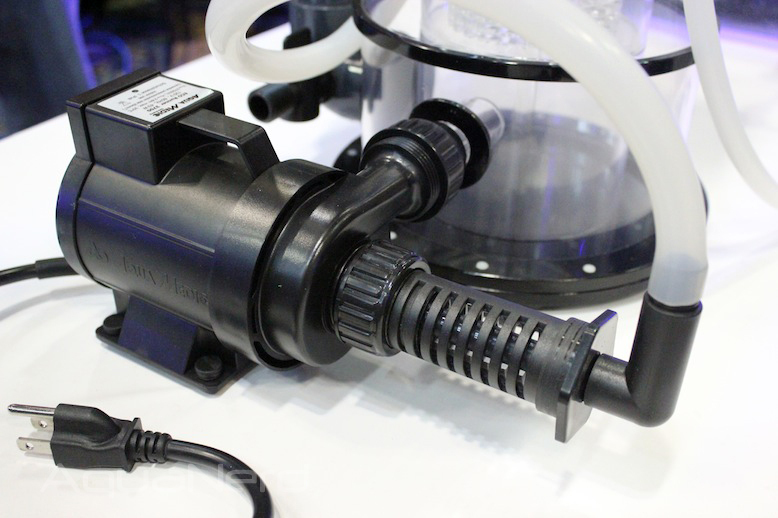 The second big selling point of the aCone is the skimmer pump volute, which isn’t completely unique in its design, but definitely out of the norm. 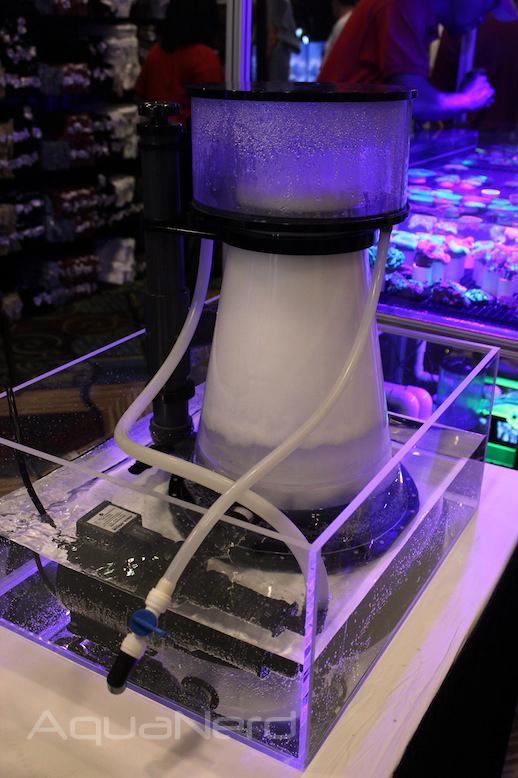 ATI Aquaristik first introduced this sort of design, where water is drawn from the outer edge of the volute with air being injected directly in the middle. Other protein skimmers do this the other way around, drawing in air around the periphery of the volute. 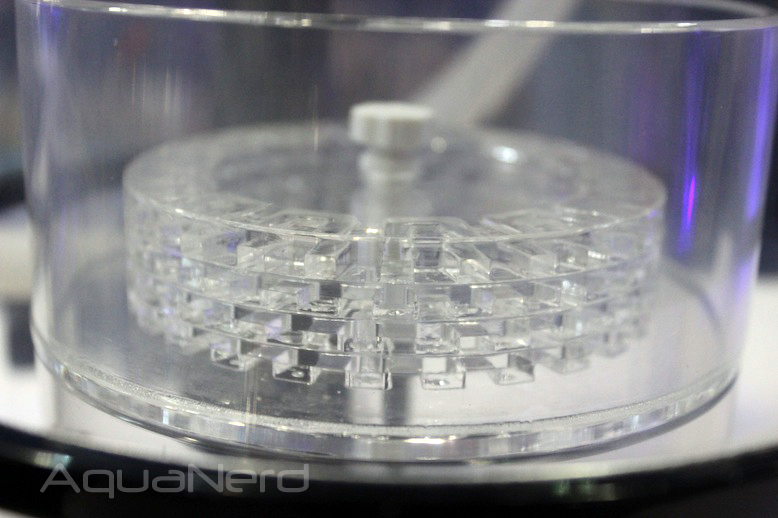 Regardless, it’s said to be a more efficient design that does a better job of mixing up the air and water. The last item on the spec sheet, which doesn’t really affect performance, is a drain located on the back of the skimmer at the bottom of the riser tube. This single valve drain is there specifically for the purposes of helping to evacuate water from the skimmer body when it comes time to perform a little maintenance. All in all, a total of two aCone skimmers are available. The aCone 1.5 is suitable for tanks up to 400 gallons and has a $479 price tag. 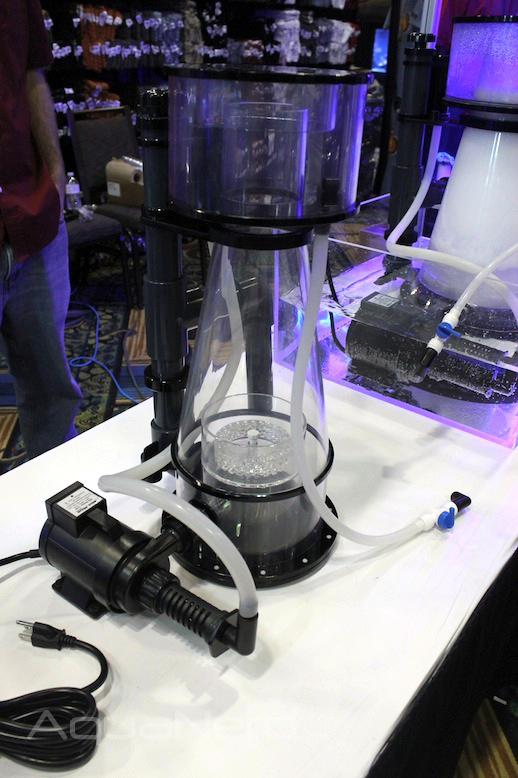 The aCone 3.0 was designed for much larger tanks, up to 650 gallons in fact, and can be purchased for $959. If you would like more info on these skimmers, such as dimensions and other specs, be sure to visit the Aqua Medic website. Same bubble plate as Aqua Excel has used for years. Ive had one with that bubble plate, it makes no difference except a PITA to clean. While the “venturi” may look like it would be more efficient I don’t personally think it is. I have made a few very similar in design in the past and I found the air draw still left much to be desired. says 1200 lhr of air on the small one. That is a lot of air. Shocked how well it skims. The standpipe was worthless. But the bottom drain valve removed and lowered the sump quite a bit and the tank is pristine clean. reminds me of my old etss days with a much bigger pump to get that clear. 43 watts is great. My tank is 180 reef.